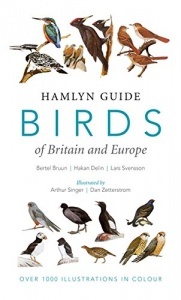 New edition of an easy-to-use rapid identification guide to 530 birds including all the resident and regular migrant birds in the geographical continent of Europe. The region covered extends from Iceland, Ireland and Britain in the West to the Ural Mountains, Black Sea and Western Turkey. A highly practical field guide, the book comes in a convenient pocket-sized format, and is organized for maximum ease of use.